There are a vast range of domestic and commercial properties in Epsom and Ashtead and Merton Windows and Doors can supply and fit windows and doors for every application. We combine the best quality products, sourced from leading manufacturers with superb customer service – all at great prices! 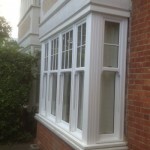 One of our most requested products is replacement or new sash windows. These windows have been a prominent feature in homes for centuries. 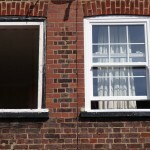 We can marry the vintage charm of sliding box sash windows with the modern expectancy of excellent thermal efficiency. Our sash windows use the very best hardware, including top-of-the-range operating mechanisms for ease of use and expert security, for a sturdy and premium product. We supply and fit sash windows with high-end sealed units of 28mm – the thickest density available, enhancing the robustness of the window. 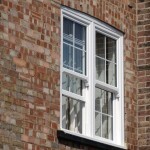 We also supply sash windows in a number of materials: traditional timber, contemporary aluminium and modern uPVC, which can mimic the look of wood. 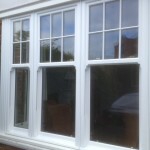 All our windows are made to measure and we can supply and fit triple-glazed sash windows. Until recently triple glazing was relatively unheard of in the UK and always associated with colder climates, like Scandinavia but as fuel bills have continued to rise, triple glazing has become more popular. The extra pane of glass leads to exceptional thermal efficiency and can reduce noise pollution if you are living on a busy road or if unwanted noise is an issue. 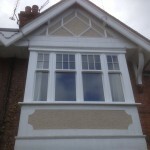 Are you thinking about sash windows? Call us now on 0208 542 2233. Casement windows are the most popular type of window for the British homeowner. Whether you’re looking to add some period charm to your modern property, or maintain the look of an older home, casement windows are an ideal product. All our casement windows are custom-made to measure using the highest quality materials, including uPVC, timber and aluminium. We are also able to supply and install windows in virtually any configuration to suit all installation spaces. Why choose casement windows windows from Merton Windows and Doors? 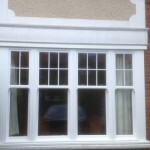 We can supply and fit some lovely French casement window designs. Operating much like French doors, casement windows are an excellent option if you think your home would benefit from additional sunlight and clear, unobstructed views, thanks to their wide central opening. As well as a range of windows, we can also supply and fit French doors and bi-folding doors in Epsom and Ashtead. Are you interested in replacement sash windows, triple glazed vertical sliders, casement windows or glazing products in Epsom? Call now and receive a free consultation and quote! Please call us 0208 542 2233 or email us at [email protected]. Or you can fill out an online enquiry form with your details and we will call you!